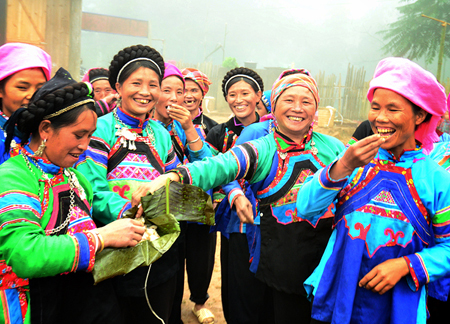 The Phu La ethnic minority, who live in the northern province of Lao Cai, still have unique wedding traditions. 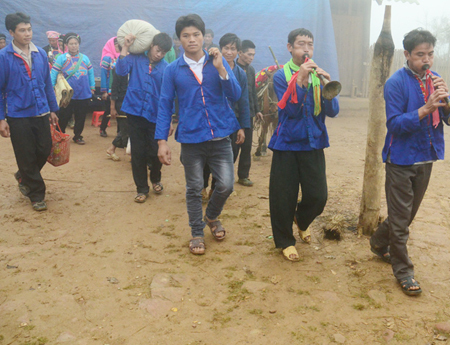 The villages of the Phu La are located in the high mountains of Nam Det Commune, in Bac Ha District. 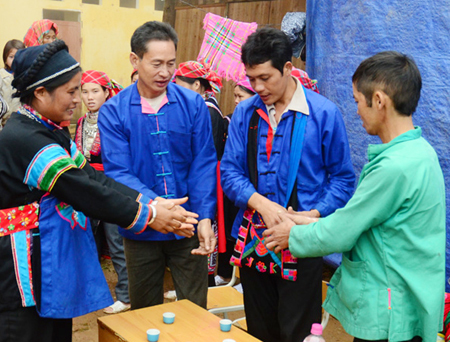 After a couple decides to marry, the groom's family will go to the bride's family to ask for a wedding. 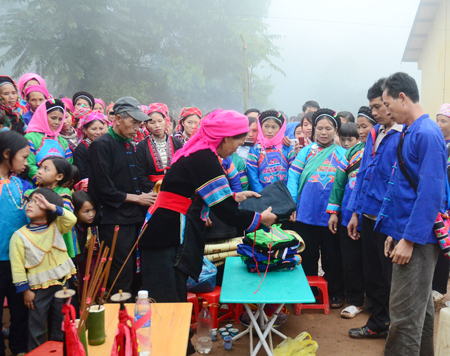 On the day of wedding ceremony, the groom's family brings 50 litres of wine, 50 kilogrammes of pork, 120 kilogrammes of rice, a set of clothes and a set of silver jewelry. 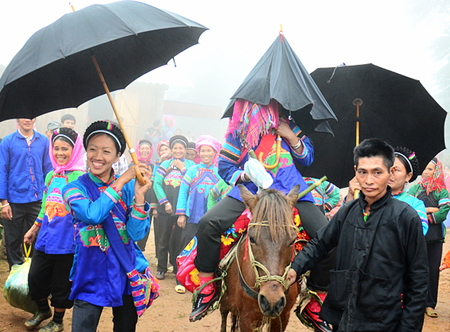 The group will be led to the bride's house by the matchmaker. 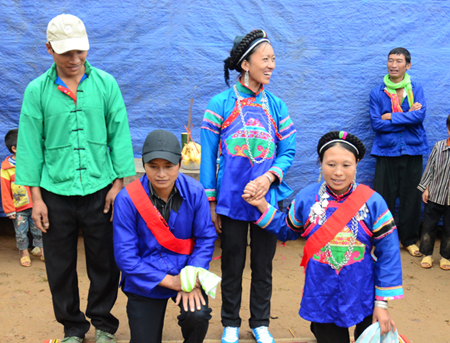 The matchmakers of both families talk in planning for the wedding. The bride's parents give their daughter six sets of clothes, a silver bracelet, shoes along with their best wishes and advice. 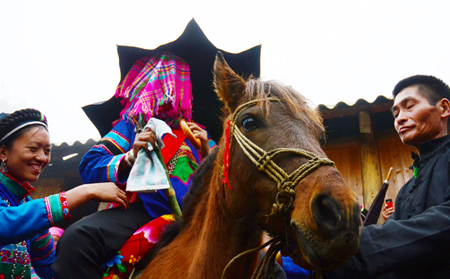 The couple will bow to the ancestors before the matchmakers ask the bride's family to help her get on a horse headed to the groom's home. 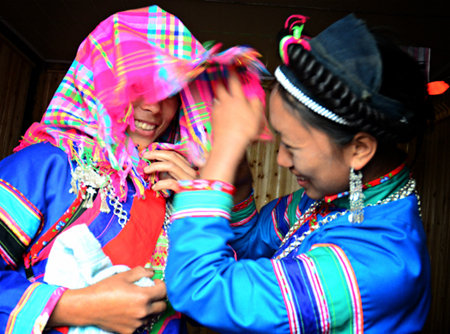 Phu La people often hold their wedding ceremonies during the transitional months between two years.